Teachers put up with a lot. Low pay, long hours, high expectations, difficult parents… the list goes on. 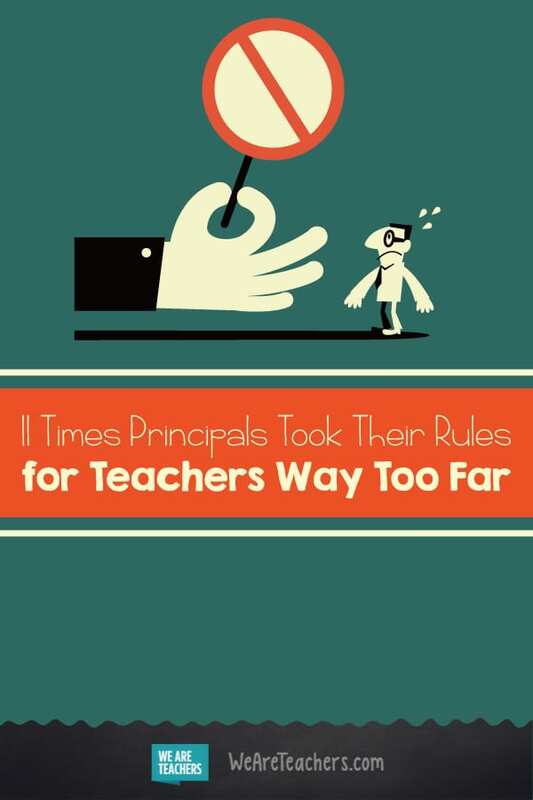 So it certainly doesn’t help when principals make rules that are just a little over the top. We asked our Facebook followers to share the ridiculous school rules that make their lives more difficult, and oh boy, did they ever respond. Here are best of the worst, and we swear they are all real (though we’re keeping them anonymous, of course). One teacher reported not getting paid for the day if they didn’t sign in (we’re pretty sure that’s not legal). And then there’s the school that wants you to plan your emergencies: “I had to leave during the day to pick up my injured child. I notified the front office staff, who arranged coverage for my class. The next day the principal announced a rule that all emergencies had to be cleared by her 24 hours in advance.” Um, what? 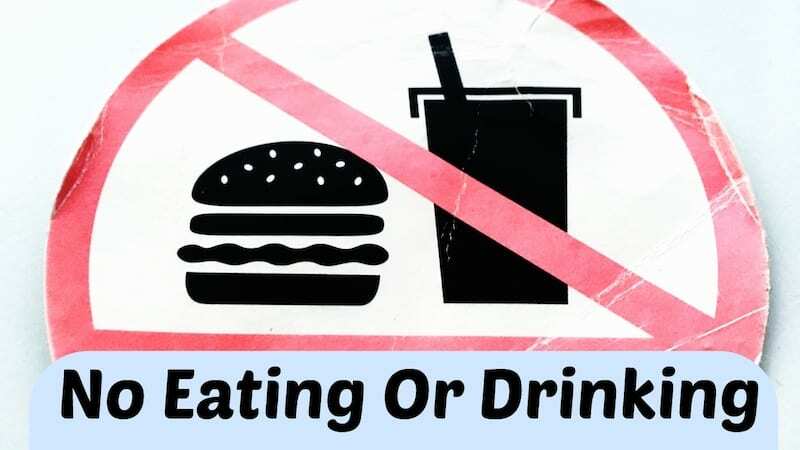 Some principals don’t make school rules about what you drink, but how you drink it. “All drinks had to be in a traditional coffee mug with no lid, even water. I don’t even know why but when someone’s water spilled on a computer we were suddenly allowed to have water bottles with lids again.” All of these teachers can count themselves lucky, though, since one principal we heard about doesn’t allow their teachers to drink anything at all in the classroom. “No coffee. No soda. No water. Nothing.” Our throats are dry just thinking about it. 5. Principal or Parking Police? It can’t get worse than that, certainly? Well, we learned about one school that doesn’t have a parking lot at all. Teachers have to park on the street and feed the meters all day. On that same note, one teacher says, “If you put anything up on the wall in your class, the same thing had to go up in all the other grade level rooms. It also had to be in the same spot so if students moved rooms they knew exactly where to look.” Just… wow. We also loved the story of the principal whose office wall adjoined the staff bathroom, so she used it as an opportunity to monitor paper towel usage. If she heard someone “pumping” the paper towel dispenser more than twice, she’d scold them for wasting paper. One teacher grew so tired of it she started using the student bathrooms. While many teachers have abandoned traditional rows of desks in favor of flexible seating, some aren’t so lucky. One teacher told us school rules state that her classroom must have “desks in rows, facing forward, and at least eight inches apart.” And don’t put away the measuring tape just yet—another principal requires all window shades in the entire building to be at the same height. Sure, all kids need a period of adjustment when school starts in the fall. But how long should it last? At one school, “teachers cannot write any disciplinary referrals or give suspensions before Christmas. Consequently, by Halloween, the students are running the school, not the staff.” So much for behavior having consequences. Another teacher has a similar problem. “We were not allowed to call parents. We were also not allowed to email parents. We were allowed to communicate POSITIVE NOTES ONLY by writing in the student’s agenda.” Hopefully not too positive, though, since one teacher told us, “I could only use two exclamation points when writing notes and things to parents. Don’t want to show too much excitement.” And no grading with red ink—it stresses kids out, according to some school rules. Don’t try it at home, either. “When I was hired I was told that I was not allowed to complain about ANYTHING work-related to anyone who did not work for the school… including my husband,” shared one teacher. Better start checking your home for hidden cameras, I guess. What school rules drive you particularly crazy? Share them in the comments below, and check out this post on Ridiculous Dress Code Rules for another laugh or two.